So I need to get over the weirdness I’m feeling at the thought of wearing a bikini around my co-workers. I’m sure once I’m there and relaxing I’ll be fine, but right now I’m packing a bag thinking “if I had known I’d be wearing this at a company function, I would have picked one with a little more coverage”. After being reminded by my trusty (and patient) companion in life that our destination is less than three hours away, I cut down on my road trip snack list. 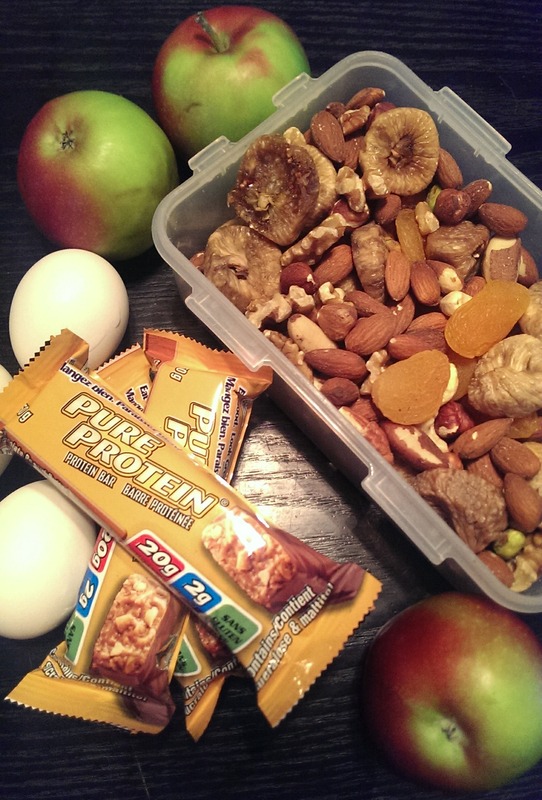 I settled on some nuts, dried apricots and figs to make a trail mix of sorts, some protein bars, hard-boiled eggs and apples. Sounds like a lot, but they’re for the drive there and back plus snacking at the camp ground. All the food is provided by my employer, but I have no idea how healthy the snacks will be (knowing the sweet teeth at my company, not very) so I’m playing it safe. Cutting down my morning run to 15K so we can hit the road a bit earlier. Will make up for it later with a hike in the woods. Lots of pictures coming tomorrow! From what I hear it’s absolutely beautiful up there. Have a great, happy, wonderful weekend!! XOXO!! !